The game is meant to appeal to real-time strategy players who like the base-building aspect of the genre, but prefer to avoid all that cumbersome combat. Which I suppose makes this something like Sim City. 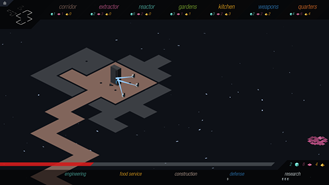 But for all its identity and pronunciation problems, Rymdkapsel is getting rave reviews after its debut on Playstation Mobile a couple of months ago. The combination of resource management and free-range construction is the sort that appeals to some of the same people who like Kairosoft's town-builders. The simple but incredibly stylish graphics don't hurt, either. 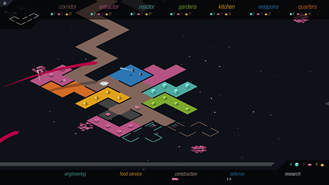 You expand your space station by laying down new Tetris-style blocks, connecting to new resource mines, and opening up space for more advanced facilities. There's a bit of tower defense combat as well, so make sure you build some defenses around all the creature comforts. The structure is pretty simple (you get one save slot, and your base can only be expanded so far) but "missions" are presented as tight, contextual goals. 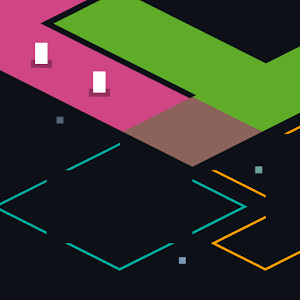 Rymdkapsel is a $4 purchase, and it's compatible with devices running Android 2.3 or higher.